What’s It Like To Drive With Soul? Home › News and Reviews › What’s It Like To Drive With Soul? You might think South Korean car maker Kia offers little in the way of style or sway when it comes to how their cars make their owners feel, but in the case of their compact crossover, the Soul really does live up to its name. This little wagon is more than just a family car; it’s the Swiss army knife of the Kia fleet with added colour, quirk and a bold personality to boot. And for this reason – it’s ability to stand out from the crowd and be totally unique – drivers often find themselves drawn to this auto oddball. With no existing genealogy within the Kia brand or outside of it for niche wagon crossovers, the Soul arrived on Australian roads almost simultaneously with its direct rivals the Toyota Rukus and Nissan Cube around 2009. These square designs presented a whole new kind of ‘cool’, something akin to the S-Cargo or Beetle of today – funny, different, charming. To make things better it’s always been a highly customisable car for specs and trims. Since the introduction of the Soul, the reliability of Kia’s has been steadily increasing, according to reports such as the US Annual Auto Reliability Survey and the local Canstar Blue awards. South Korean cars often sit right behind their Japanese competitors in the reliability steaks, so in some ways: this Soul never dies. Of course, it’s not just a great car for the sake of being a great car; it’s also highly practical. The large load bay, boxy design and short wheelbase mean that it’s nimble enough to negotiate inner city and suburban streets, but also practical enough to haul the family around. It also has great visibility for parking and reversing. Despite a brief facia upgrade in 2014, the Soul is somewhat timeless. Its futuristic lines have aged well since its introduction as a concept car in 2006 at the North American Auto Show in Detroit and the next gen concepts don’t stretch too far from the present model as is. So what’s it like to truly drive with Soul? For some, it’s perfect. The Kia Soul is a ride for individuals who are just that – individual. If you’re looking for something different, with a proven track record of being one step ahead of the game, this car is well worth your time. They say that money can’t buy happiness, but in this case, it can buy a Soul, and that’s nearly just as good. 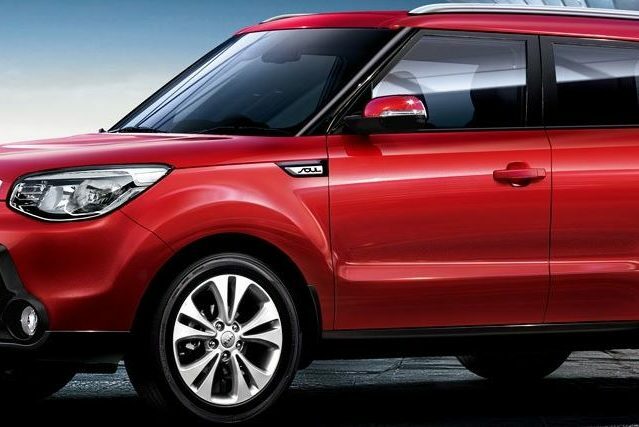 Drop into the John Hughes show room for more information or search for Kia Soul’s online.